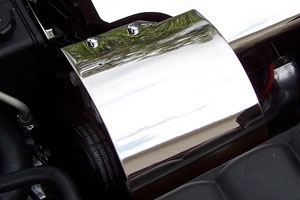 This high quality C6 Corvette alternator cover is easy to install and crafted from 304 stainless steel. It will never tarnish or change color. Built to endure high engine heat. A great looking cover at a great price!